We’ve just come back from a week in Lake Annecy in the French Alps, where we spent a fantastic holiday swimming in the lake, visiting mountain villages and trying out some fun activities like going on a Toboggan! 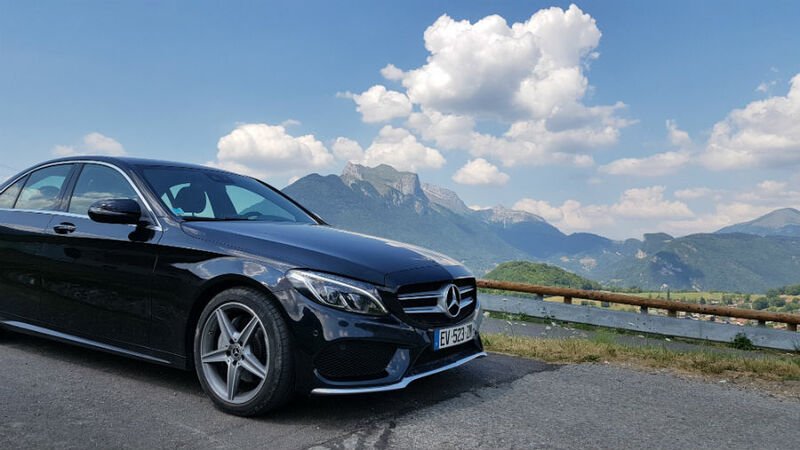 We started off our holiday flying into Geneva Airport where we picked up a hire car arranged for us by Auto Europe. Basically, you type all your requirements into the Auto Europe website such as where you want to pick the car up from and where you want to return it to, and they compare prices from all the car hire companies and display them for you so you can choose the one which is best for you. 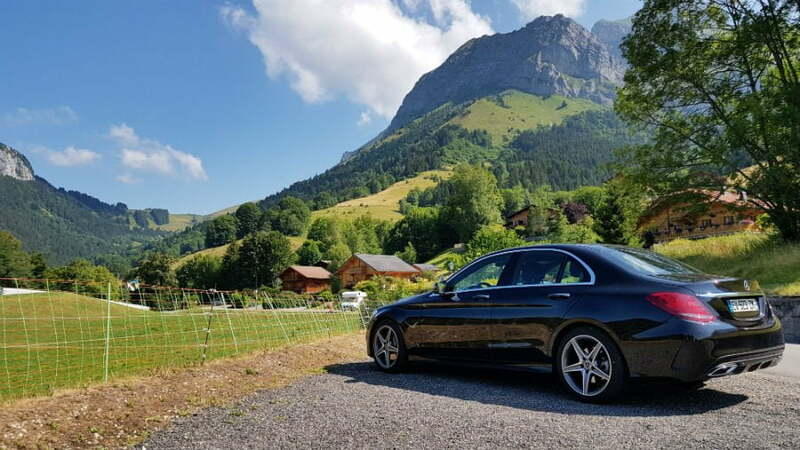 We chose a family car from Sixt which would get us and our bags from the airport to the holiday park we were staying at, as well as enabling us to have lots of family days out whilst we were there. Geneva Airport is in a really interesting location, as the border between France and Switzerland passes through the middle of the airport meaning that you can hire a car from the French side if you are planning to travel inside France during your stay. When you come out of Passport Control and Baggage Reclaim, simply take the lift up one floor to the Arrivals area and follow signs to the ‘French Sector’. Then you will go through a glass door and you are in France! Follow signs for Car Hire, and all the main car hire companies are located in one place. Luckily we didn’t need to queue so it wasn’t long until we were heading to the car park where our hire car was waiting for us. We could have hired car seats from Sixt, but we decided to bring our own as our airline provider let us carry them in the hold for free. 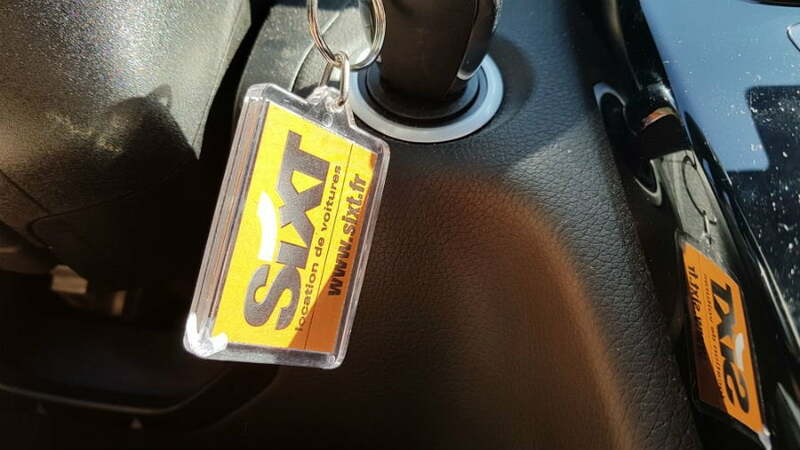 Once we had fitted the car seats, and Sixt had given us a quick overview of the car, we were on our way to Lake Annecy. Crossing the border between France and Switzerland was really easy, but we chose to buy a ‘Vignette’ pass which allowed us to travel on the Swiss motorways. This cost aprox £30 and could be bought from the office at the border. The man at the Sixt office had advised us that it was rush hour in Geneva, and we wanted to get to the campsite as soon as possible so we decided to pay for the Vignette so we could travel on the motorway. We were staying at a great campsite about 1km from Lake Annecy, and the nearest supermarket was about 10 minutes drive away. The next morning, I took our children to the playground whilst my husband drove to the supermarket to do a full shop. This meant that we could use the onsite camp shop to buy little bits during the week, but we didn’t need to go to the supermarket again. We spent the first day on the campsite swimming in the pools, going down the waterslides and playing in the playground, but by the 2nd day we wanted to start exploring the area. We kept our swimming stuff and buckets and spades in the boot of the car and spent the rest of the week driving around looking for new beaches to play on, as well as heading up into the mountains to try and cool down! One of our favourite days out was up to Col De La Forclaz which you get to via a steep, twisting mountain road. When you get to the top, you are rewarded with the most amazing views of the Lake – plus you get to see the paragliders taking off for the flights over the lake! One day I would love to do this…. We had another day out to La Sambuy which is a ski resort in Winter, but in summer visitors can get the chair lift to the top of the mountain where there are lots hiking trails. There are also family friendly activities at the bottom of the mountain including a Luge which is over 600m long. Older children would love the Tubby Jump (slide down a hill on a giant tyre!) and the go karts. One of best days out was to the La Clusaz ski resort. This was about 40 minutes drive from Annecy deep into mountains. The village is surrounded by steep mountains and is a skier’s paradise in the winter, but in the summer it comes alive as outdoor enthusiasts head up into the mountains. 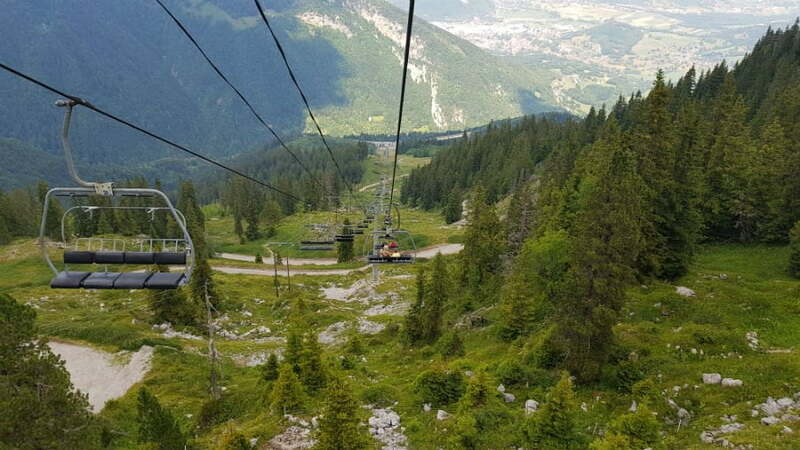 We took the Beauregard Gondola 1500m up to the Beauregard plateau where you could see the snowy peaks of Mont Blanc in the distance, as well as getting panoramic views of the Aravais range of mountains. There really is so much to see and do in and around Annecy, and we are already planning a return trip to see more of this region. Next time we would like to venture deeper into the Alps and have days out at Chamonix and Morzine. We also want to get closer to Mont Blanc and see more of this mighty mountain. 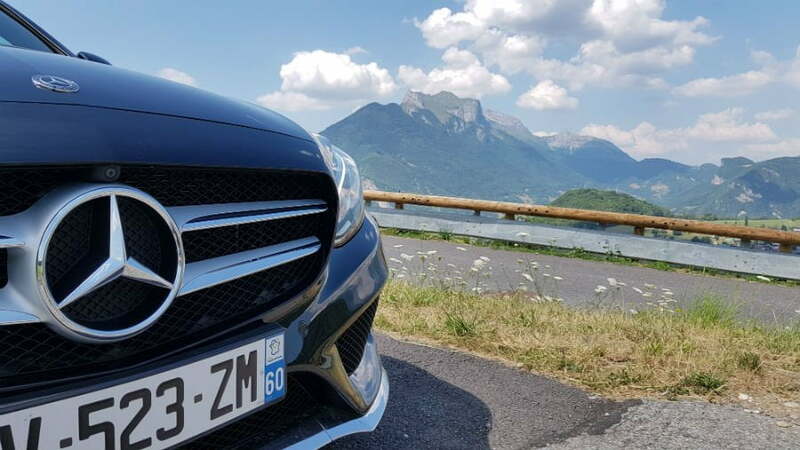 I would say that having your own hire car is essential for making the most of a holiday to Lake Annecy. It certainly gave us the freedom and flexibility to go where we wanted, and stop off along the way at a beach for a dip when we wanted to cool off! For more information about cheap car hire visit the Auto Europe website.